The new content, which drops in October of this year, will take players the expansion's namesake, Aberration, a derelict ARK with a massive underground biome for them to explore. Of course, a new environment isn't the only enticing addition. The expansion will also contain wingsuits, ziplines, crazed humanoids, and, naturally, radioactive sunlight. What more could you ask for? 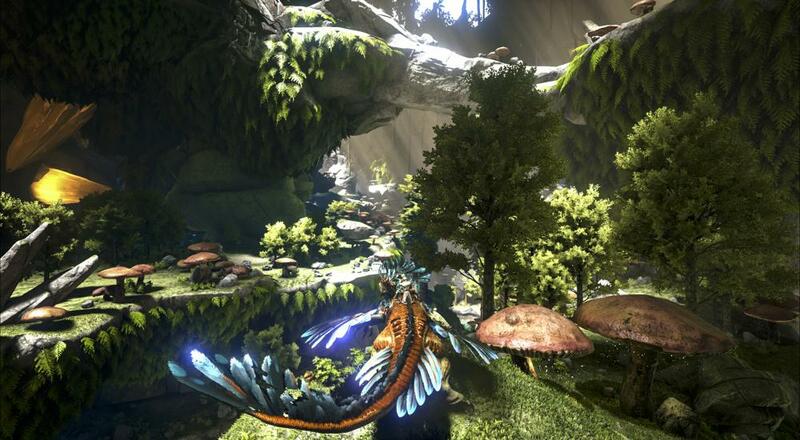 ARK offers online co-op for up to four players in every version of the game and local co-op for two players in the console versions. Given how long it's been in Early Access, ARK's been a known quantity for quite some time, but there are certainly folks out there that were hesitant to play an unfinished product. For their purposes, it's nice to see the game reach completion, and the promise of a continuous content drip is a pretty solid sweetener. The game's post-launch success obviously lives and dies on the quality of said content, though, so let's hope those wingsuits are pretty sturdy. Page created in 0.2425 seconds.